Orient electric is known for its quality home appliances. 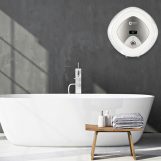 The domestic brand has introduced a much-needed change and innovation in products such as ceiling fans and water heater that were stagnated in terms of design and innovation for decades. 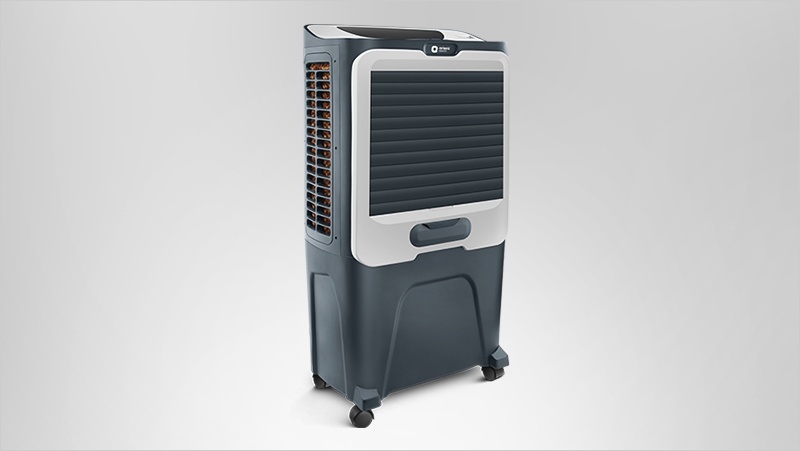 Now, in time for summers, Orient has announced a slew of air coolers. One of the most powerful of the lot, is the DesertStorm OD7002HR. I’m not sure why it is named after the gulf war or a not so pleasant weather condition. But hey, it does sound fancy right? And perhaps the name hints at the raw power of wind. Let us find out what makes it swing consumers to its side. The DesertStorm is the first outdoor cooler in the market to feature a modular design. It comes in two compact boxes for easy transportation. 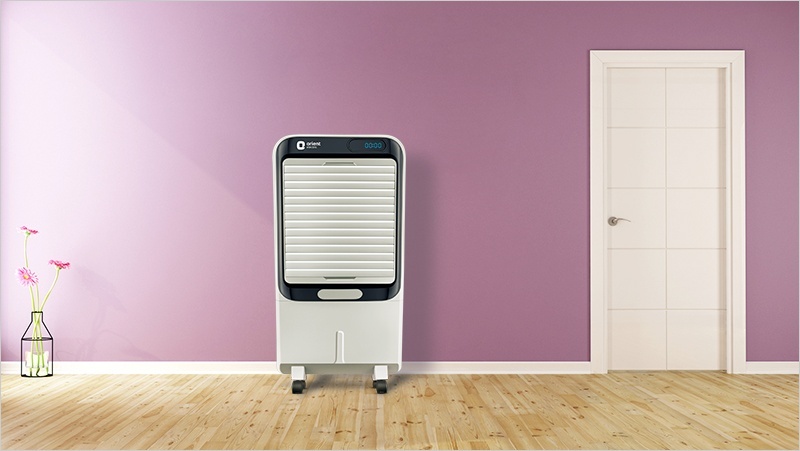 Orient claims that the air cooler can be assembled in just a matter of few minutes. 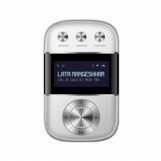 The overall design is streamlined to achieve maximum performance without adding the bulk. 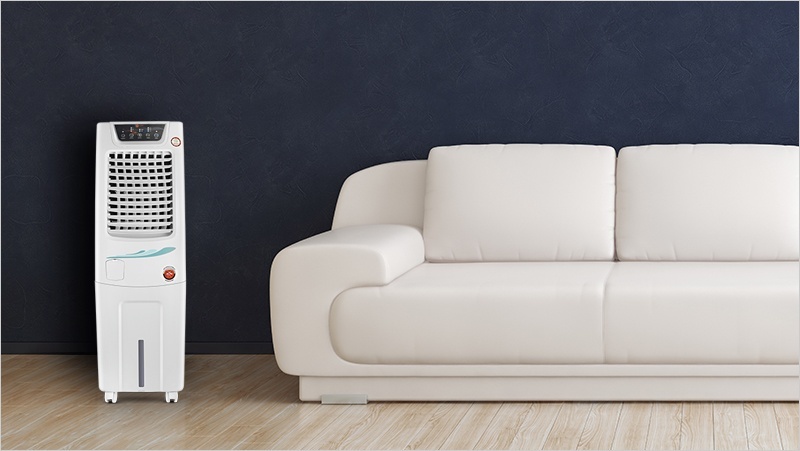 The biggest problem with most air coolers is that they are an eyesore in a modern living room. The DesertStorm is different though. 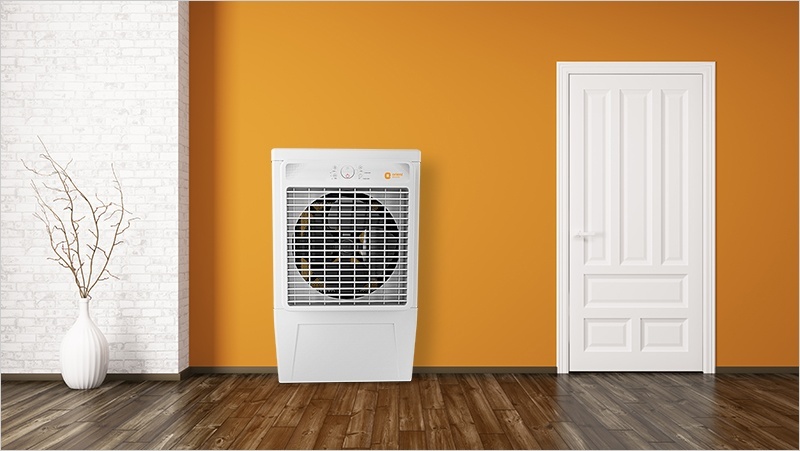 Orient has designed this air cooler to complement your living room’s interior. It has a neat functional design. The overall look is elegant with no clutter of unwanted buttons and knobs. All the controls you are going to require are put on a single user-friendly panel. The front is mostly dominated by a window to a powerful fan. It has collapsible blinds that can hide the fan when not in use. It also effectively blocks the dust from entering the machine. Evaporative cooling technology relies on water. Orient has fitted this air cooler with a massive tank that can hold up to 70 litres of water. This is going to save you from the hassle of refilling the tanks every now and then. The appliance weighs in at 27.2 kg. But, don’t worry, as it comes with an optional trolley for convenience. The DesertStorm has an anti-rust body and motor. This is a must have feature for an appliance that holds water. Find below Dhoni assembling, India’s first modular cooler, Desertstorm from Orient at his home. He did it in 01:30 minutes. Do it within 3 minutes, and get a chance to meet him or get Orient Electric merchandise signed by him *(T&C apply)! Outdoor coolers are superior to the indoor personal coolers in many ways. Sure, the indoor coolers are more compact, but they create a lot of humidity inside the room. Coolers work on evaporation principle, and the problem with higher humidity is that it saturates the air. As an effect, the cooler can no more cool the air inside the house. By contrast, outdoor coolers have constant supply of fresh outside air to keep the cooling process efficient and effective. 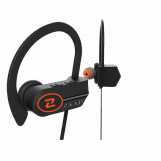 The DesertStorm has high-performance fan with a clever blade design to reduce the operating noise. It is made possible by AeroFan technology with high-angled aerodynamic profiled blades. This 16-inch fan has air delivery of 5000 cubic metre per hour. It has a throw distance of 45 feet. 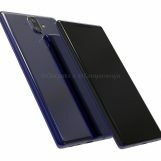 Orient uses honeycomb cooling pads. Using company’s DenseNest technology, these pads hold 45 percent more water resulting in 25 percent better cooling. It is a documented fact that honeycomb cooling pads are more durable and efficient than wool-like aspen cooling pads. Moreover, honeycomb cooling pads are easier to maintain compared to the aspen ones. 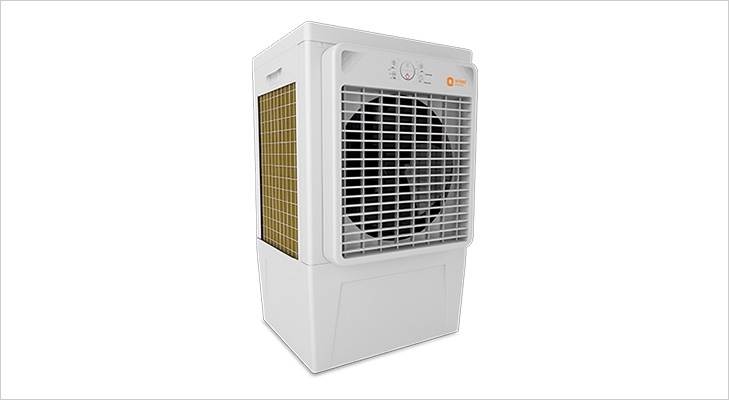 Additionally, the air cooler uses advanced 60-hole water distribution system. It allows effective soaking of cooling pads in short time providing quick cooling. The design ensures that there’s no clogging. In effect, you get maintenance free operation for months. Many Indian city and towns don’t have fresh water supply. Keeping that in mind, engineers at Orient have ensured that the DessertStorm works well with hard water. Water tanks in air coolers often turn out to be breeding grounds for mosquitos. Not with the DesertStorm though, as it uses a solution which when mixed with water prevents the mosquito from taking a refuge. Along with a modern design, the Orient DesertStorm comes with modern features. First up is a remote control that saves you from the hassle of walking up to the air cooler every time you wanted to change the fan speed. 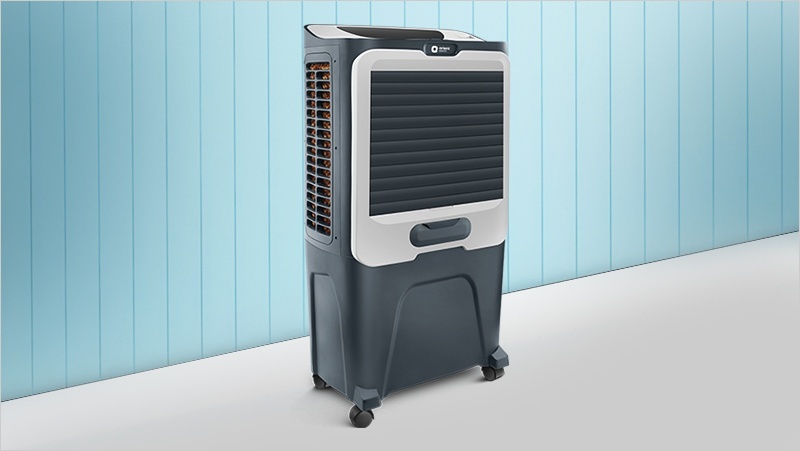 The cooler also has motorised vertical louver movement. 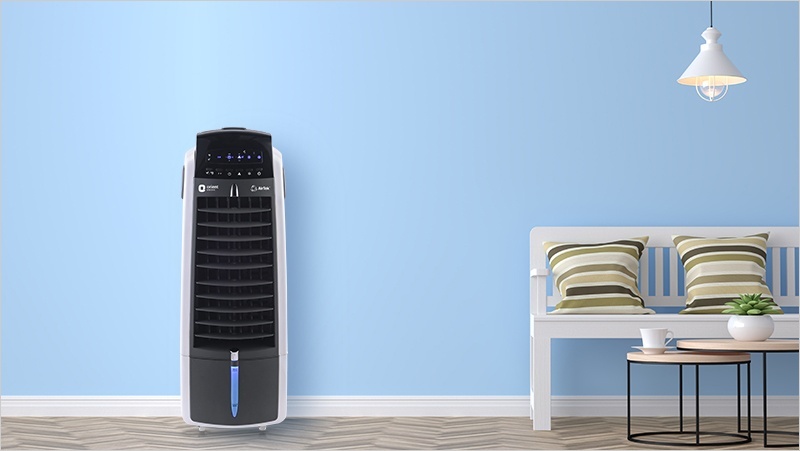 This enables airflow across the entire room, so that you don’t have to sit in front of the cooler. The cooler also has a dust filter. 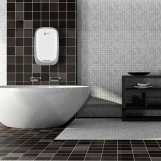 It uses activated carbon to remove impurities from the air before releasing it in your home. 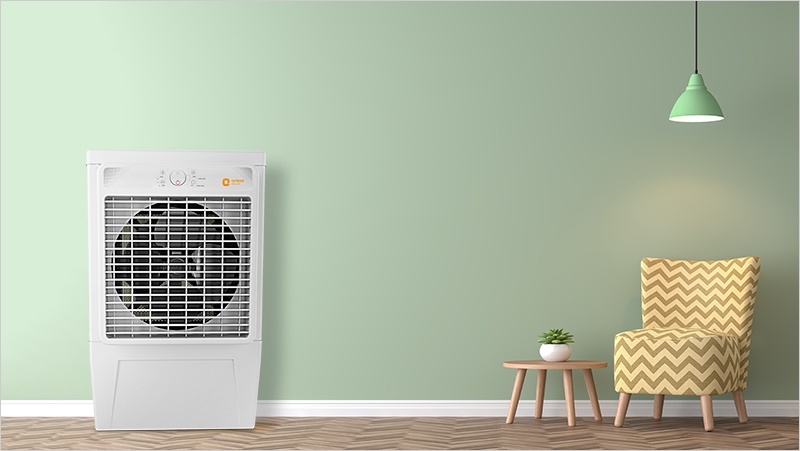 You can also take a pride in choosing an air cooler over the AC, as the former is eco-friendly. Air coolers consumer the fraction of the power required by Air Conditioners. Moreover, they don’t emit harmful gases at all. Like most Orient appliances, the DesertStorm is targeted at those who appreciate performance and a bit of style. The company has put in efforts to design an outdoor cooler that’s easy to transport and install. 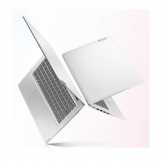 Its powerful fan has an aerodynamic design and powerful motor. Since it holds water, Orient has been responsible enough to ensure that it does not end up being a conservatory for mosquitos. For efficiency, the DesertStorm uses honeycomb cooling pads, which are way better than the cheaper aspen ones. 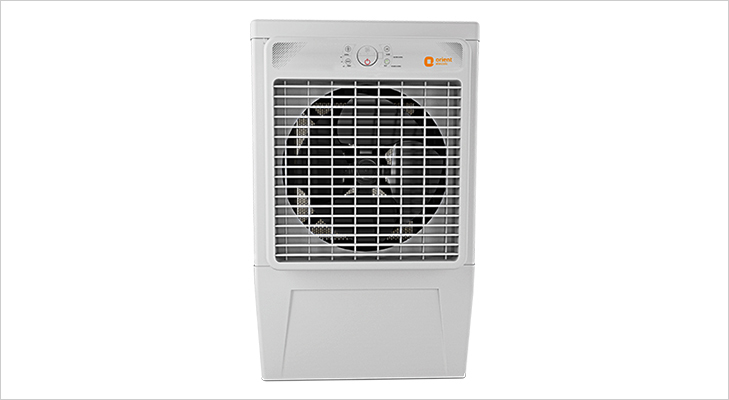 Priced at Rs 15,490, Orient DesertStorm is the best performing air cooler in its class. In coming weeks, the cooler will also roll out in the local electric stores across India through Orient’s offline distribution network. Orient offers 1 + 2 year warranty on the motor and anti-rust coating of certain parts. For queries and assistant, you can reach Orient on 18001037574.